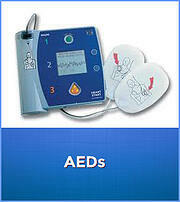 Studies show that AEDs save lives. They give victims a fighting chance and should be widely available in all buildings available to the public. While there are not clear codes on AEDs, insuring that they are in place and accessible only makes sense for these critical life safety devices.